GRAND MANAN, N.B. 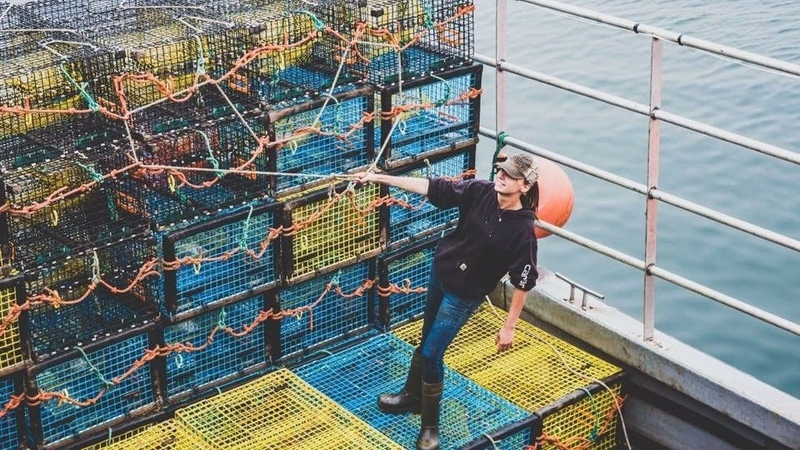 -- Fisherman Karissa Lindstrand drinks a lot of Pepsi every day -- so imagine her surprise as she was banding lobster claws and came across a lobster with the image of a Pepsi can on it. "It looked like the image was tattooed on the lobster claw," she said Wednesday. Lindstrand has been banding lobster on the boat Honour Bound off Grand Manan, N.B., for four years, and while she has seen some odd looking lobster, this was the first with an image on it. "I've just seen deformed claws. I've never seen anything like this before with the image of a Pepsi symbol," she said. The lobster was caught on Nov. 21 near North Head. "It looked just like a regular lobster. Once I check it over and make sure it is legal, I pay more attention to the claws and getting a band put on it. I just happened to notice a blue picture, and got looking at it closer and it was a Pepsi can," she said. She said the image was not paper, but could be scraped off, and as she looked closer it was pixelated. "I took a picture of it with my phone and stuck it on my Facebook page to show my friends and it kind of went viral," she said. Lindstrand said she now wishes she had kept the lobster because of all the interest it has generated. Instead, she just put the lobster in a crate for transport to a buyer, and it may have gone to the United States. But she said she's glad it was a Pepsi logo and not another brand of cola. "I'm a Pepsi fan 100 per cent. I drink one cup of coffee in the morning and then Pepsi all day. On average it would be about 12 cans." Lindstrand said she has no idea how the image got on the lobster, or if it's an indication of garbage on the bottom. However, she said in the four years she has worked on the boat, she has never seen any garbage come up with the traps. But Matthew Abbott, Fundy Baykeeper and marine program co-ordinator with the Conservation Council of New Brunswick, said this lobster has an important story to tell. "What it really tells us is the prevalence of marine debris in our coastal waters. This is a case where the lobster not necessarily has been hurt by it, but it shows that even in the relatively deep waters off Grand Manan there's garbage down there," Abbott said. He said a number of groups have been trying to find and remove debris from coastal waters but it's an ongoing challenge. "A lot of the plastics we worry about float, but if they're filled with water or other materials they'll sink," he said. 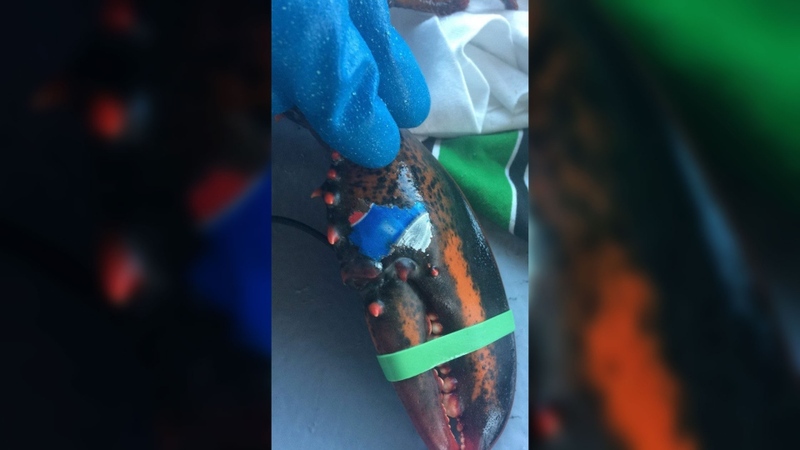 Abbott said they also find a lot of rope and other debris from the fishing and aquaculture industries, but finding a lobster with the image of a Pepsi can is "truly unique."